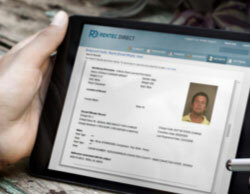 Protect your properties by accessing top tenant screening reports on your rental applicants. Instantly pull credit and criminal background reports, nationwide eviction searches, SSN validation and more with the click of a button. Use Rentec Direct’s integrated online rental applications to streamline the process and get your vacancies filled faster to qualified applicants. Learn more about tenant screening solutions and see the Landlord's Success Guide to Tenant Screening.